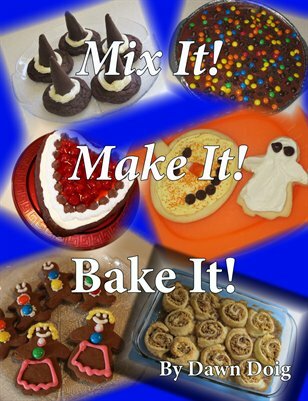 A cookbook featuring all dessert recipes for the beginning baker or anyone who has limited time for baking. The recipes are written in a simple-to-follow format. All recipes are salt-free. Great recipes for baking with children. Cookbooks: Mix It! Make It! Bake It!